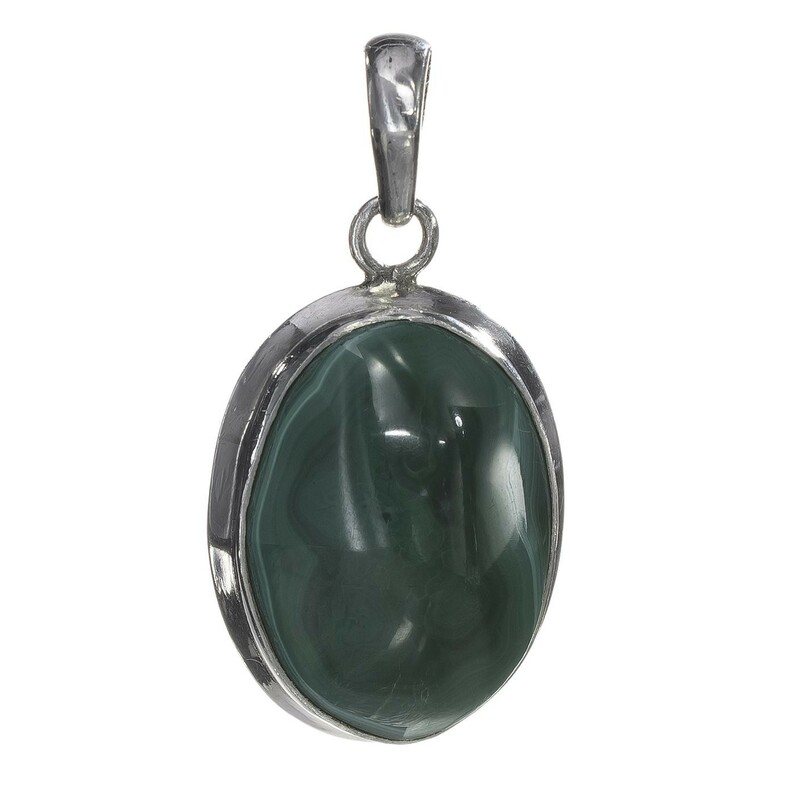 Silver embossed in the Green Malachite stone is a gemstone pendant proving that beauty truly lying in the eyes of the beholder. Malachite personifies the deep healing green of nature and represents the innate beauty of flowers, trees, roots and plants. A silver pendant outliving the expect... Read more. Silver embossed in the Green Malachite stone is a gemstone pendant proving that beauty truly lying in the eyes of the beholder. Malachite personifies the deep healing green of nature and represents the innate beauty of flowers, trees, roots and plants. A silver pendant outliving the expectation bar in the jewelry designs and grasping the inner soul is up for sale.